Currently there are over 50 foreclosures, bank owned properties and REO's in the Scottsdale area. 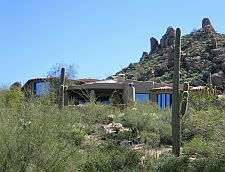 These foreclosures in most cases provide an excellent value for buyers interested in purchasing Scottsdale real estate or Scottsdale homes for sale. After I submit an offer to the bank, how long do I have to wait until they respond? Response time from the bank will vary, but generally banks respond to any written offers within 48 - 72 hours (excluding weekends). What documents are required when submitting a purchase offer? How long will it take to close on my Scottsdale foreclosure after my purchase contract is accepted? This depends. If paying cash, we would recommend that you leave yourself approximately 21 days. If you're a buyer obtaining FHA, VA or conventional financing, we strongly suggest 35 days at a bare minimum, with 45 days being much more comfortable. How much earnest money do lenders require when I submit an offer on a Scottsdale property? Typically, lenders like to see 1% of the purchase price as an earnest money deposit. This money is deposited at the title company upon contract acceptance. I have a home to sell, will the lender accept an offer contingent upon my home being sold? Banks will not accept contingencies such as these. Once your home is sold and your financing or cash is available, it's time to start shopping for your Scottsdale foreclosure. Do I need to be prequalified for financing prior to shopping for my foreclosure home? Yes. Once you locate a suitable property, you will be required to submit what's called an LSR with your purchase offer. An LSR is a form provided from your lender of choice showing that you are approved for financing for at least the purchase price of the home. If you need a list of quality local lenders to get preapproved prior to shopping for your Scottsdale area foreclosure just let us know. If I'm paying cash, is there any special documentation I will need? If paying cash for your foreclosure, the seller (lender) will require that you provide proof of funds for at least the purchase price of the home. Proof of funds typically come from your banking institution, brokerage house etc. What if we find an acceptable foreclosure and there's multiple offers on the home? In this scenario, the bank will send back a multiple counter offer form. They will ask you to submit your highest and best offer. Upon reviewing the offers from all parties involved, the bank will choose one offer to accept. Will the seller supply a Sellers Property Disclosure Statement upon accepting a contract? The sellers have never occupied the property and will not supply a SPDS. How many days do I have to inspect the property after the contract is accepted? Typically, you will have a 10 day inspection period to perform your due diligence in the form of home inspections, termite inspections, researching a hazard insurance policy etc. Should I hire a professional home inspector? Upon contract acceptance on the home, we would highly recommend that you hire a professional licensed home inspector to help you perform your due diligence. Hiring a home inspector typically runs around $275.00 - $400.00 and provides peace of mind in such an important transaction. What should I expect when viewing Scottsdale area foreclosures? In some cases the homes will be pristine and left in immaculate condition. Other homes will require some tlc to make them sparkle. A fair number of homes will require interior paint, a good cleaning, and having the carpet cleaned. In some cases, appliances, cabinets and additional fixtures will will need to be replaced as the previous owners took them when the home was foreclosed on. You will find that each property is unique and the amount of work needed to make the home turn-key will vary.